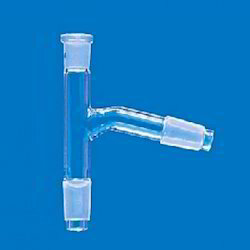 We avail our clients with this extensive range of Glass Test Tube. 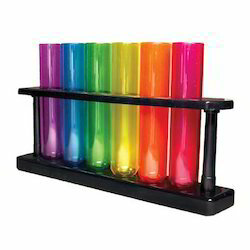 Available with us in a variety of sizes, these test tubes are made of best quality raw material such as glass. This manufacturing glass has been tested in various terms to qualify for carrying out successful experiments in chemical laboratories. Made to be highly resistive against heat, and highly abrasive chemicals, these test tube come with a handy grip and offer durability. We have immense expertise in the making of Laboratory Dishes. These dishes are available with us in a variety of sizes as per the requirements. Used for carrying out chemical experiments, these dishes are generally made of bone china. The quality of this material is highly wear & tear resistant and made to bear with severe conditions such as high heat temperature, abrasive chemicals and ashes. 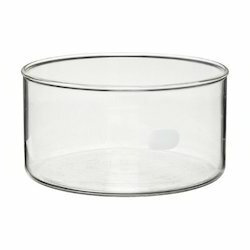 Coming in a handy design, these dishes can be procured from us at a comprehensive range for various lab uses at colleges, schools and other research institutes. We serve our clients by offering them a broad range of Lab Kettles, which is manufactured keeping in mind the diverse requirements of the clients. 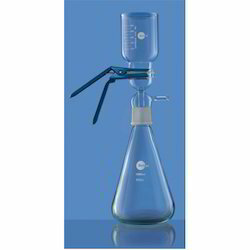 These kettles are widely used in laboratories and in several industries such as pharmaceutical and chemical. The products offered by us are precisely engineered by our qualified experts, which ensures their reliability, durability and excellent quality. We are instrumental in offering a comprehensive range of Lab Ground Joints to our valued clients. Our range includes two models that are S6560 ground joints and S6580 ground joints. Only the inner part of S6560 model is interchangeable, whereas in S6580, only the outer part is interchangeable. Following are the specifications of these ground joints. 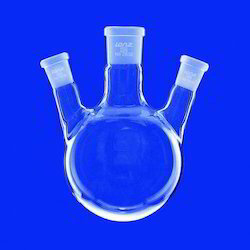 We are engaged in offering Borosilicate Glass Flask to our esteemed clients. 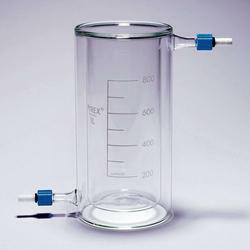 These flasks find extensive application in chemical, pharmaceutical and other allied industries. Our engineers manufacture these flasks employing advanced technology and superior quality raw material, which is procured from the reputed vendors of the market. 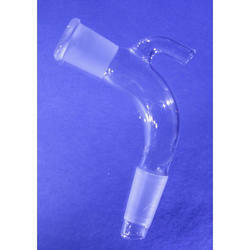 We offer a wide assortment of 45 Degree Glass Bends that is manufactured using quality raw material. Made from quality material, these are also availed in comprehensive prices. These Glass Bends are widely appreciated for its hassle free performance and other unique features. These are available at most reasonable rates. 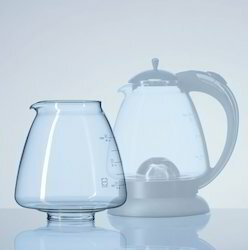 We are one of the leading manufacturer and suppliers of this wide range of Glass Beakers. 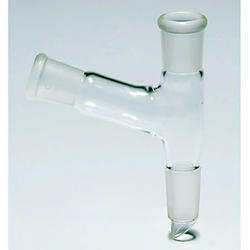 Used in a number of extensive and varied kind of experimental purposes, these beakers are made of best quality glass. 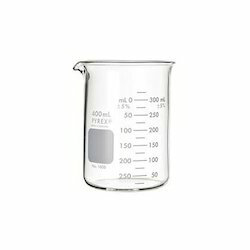 Known for their dimensional accuracy and a high level resistance to heat and abrasives these beakers are manufactures as per the clients requirements. 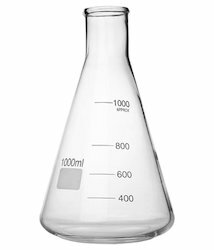 Manufactured in a variety of sizes, these beakers are available with a handy grip. With thorough knowledge and experience of this domain, we are offering a comprehensive range of Glass Condenser including glass condensers coil type, glass condensers coil shell, glass condensers coil tube type. Manufactured using excellent quality raw material, these glass condensers are resistant to heat & chemicals. 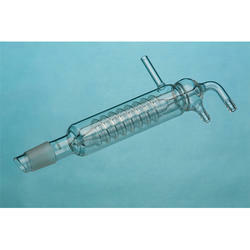 Our experienced professionals have designed & developed these glass condensers using high-grade raw material. AREAz (m2) DN DN1 L L1 Type Cap. Ltr. Put kg/h Shell (cm2) Cat. Ref. Vessel cap. (ltr) DN D L L1 CAT REF. DN DN1 DN2 L L1 L2 Cat. Ref. 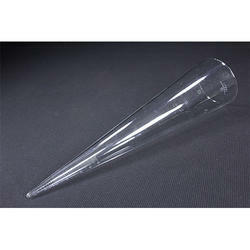 We bring forward to our clients a wide range of Lab Cones, in two models i.e. S2160 cones and S2180 cones. Known for its excellent quality and dimensional accuracy, our range is widely demanded all across the nation. S2160 cones offered by us have sharp tip, whereas S2180 cones have a blunt tip. Our company has been regarded as a consistent manufacturer and supplier of Borosilicate Coupling And Gaskets range. Precisely designed for being used with various glass process plants and other pipeline components, our professionals have ensured that the range has been made as safe as possible. To ensure this basic level safety the bolts applied to join the edges is sufficient for making an effective seal without any extensive stress on the glass. The couplings offered by us are efficient enough in offering working under severe conditions. Used to join glass equipments and some pipeline components these couplings can work on any material. Spherical Vessels offered find usage in circulatory boiler system and are manufactured using superior grade material so as to ensure high process durability as well as effective performance. Made available in different capacities, these comer with nominal Cap. (Ltr.) of 5, 10, 20, 50, 100, 200, 300 L, bulb diameter (in mm) of 220, 285,350, 470, 600, 750, 850 and maximum internal pressure (Bar G) of 1, ± 2, 0.8, 0.7, 0.5, 0.4,0. 2,0.25.